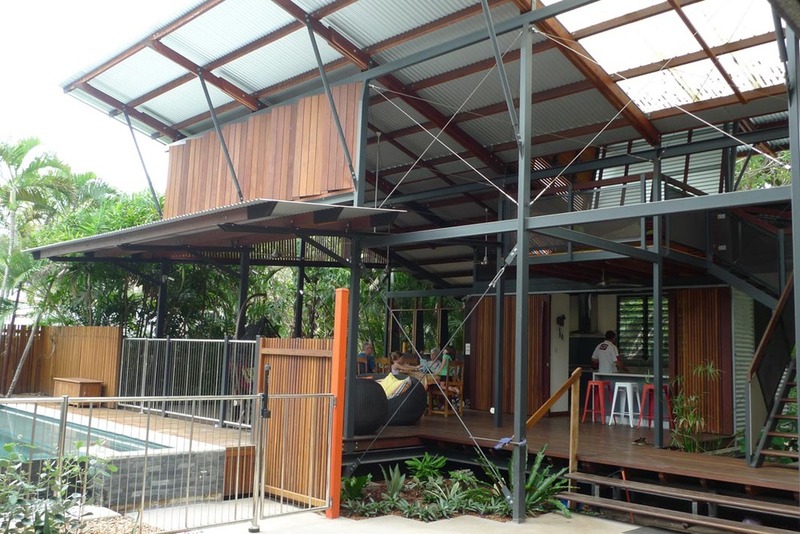 This significant renovation takes its cues from a much-loved, pre-cyclone, elevated home. 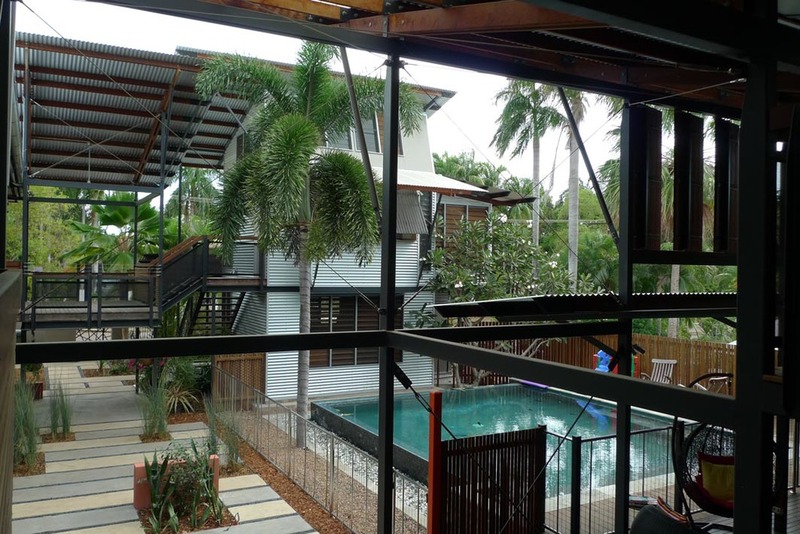 The porosity of the original house, its connection to the landscape and cooling sea breezes are repeated throughout the additions creating a symbiosis between the structures and the vivacious young family who occupy them. Situated in an inner-city suburb, the built forms border a courtyard pool adjacent to the main living verandah and outdoor kitchen. The expansive outdoor spaces connect to the rest of the house via canopy-high walkways, leading to the secluded, private rooms of the house. The working garden provides a self-sufficient veggie patch, chooks and a new workshop - the envy of the neighbourhood. The landscape design cleverly ties all the parts together, offering areas for play, toil and rest. Passively cooled throughout, this home embraces the spirit of the Top End for a family committed to preserving the old Darwin lifestyle with a sophisticated, contemporary re-imagining.